Through a revolutionary technology that unlocks his genetic memories, Callum Lynch (Michael Fassbender) experiences the adventures of his ancestor, Aguilar, in 15th Century Spain. Callum discovers he is descended from a mysterious secret society, the Assassins, and amasses incredible knowledge and skills to take on the oppressive and powerful Templar organization in the present day. KIDS FIRST! Film Critic Lizeth G. comments, “Assassin’s Creed is an action packed film filled with an amazing choice of actors and actresses. The cast is outstanding and their characters are so well written that, at points make you feel sad for them although they are considered bad people.” See her full review below. 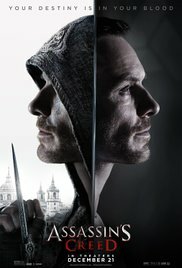 Assassin’s Creed is an action packed film filled with an amazing choice of actors and actresses. Usually I don’t enjoy films that have a lot of violence in them, but this film has a storyline that always has you on the edge of your seat ready to see what would happen next. The cast is outstanding and their characters are so well written that, at points make you feel sad for them although they are considered bad people. This film is about Callum Lynch (Michael Fassbender) who finds out that he is the descendent of Aguilar the last known Assassin to have possession of the Apple of Eden. At the beginning, he is in denial of being considered part of the secret society of Assassins because, as a small child he watched his father, a member of the Assassins, kill his mother. Sofia (Marion Cotillard) is a scientist trying to find a cure for violence with the help of her father (Jeremy Irons). This leads to the wonderful sci-fi part of the film with its revolutionary technology that allows Callum to unlock genetic memory of his ancestor Aguilar. My favorite part is when Callum goes through his genetic memory and learns the same skills his ancestor, Aguilar, had in order to fight off the people that are taking advantage of him and the other assassins. Another part that stands out is when sometimes they speak Spanish. I really like that because it shows how well thought out the film is. Furthermore the CGI is the best I’ve seen so far and I personally would go watch this film a second time. This film has many amazing plot twist that just leave you speechless, but you have to watch this film to know what I’m talking about. I recommend this film to ages 13 to 18 due to the amount of violence shown. I rate this film 4 out of 5 stars because, although it is such a good film with its dialect, script and settings, there are very few parts that leave you confused as to what is going on. This film opens in theaters December 21, 2016 so go check it out. The spaceship, Starship Avalon, in its 120-year voyage to a distant colony planet known as the “Homestead Colony” and transporting 5,259 people has a malfunction in two of its sleep chambers. 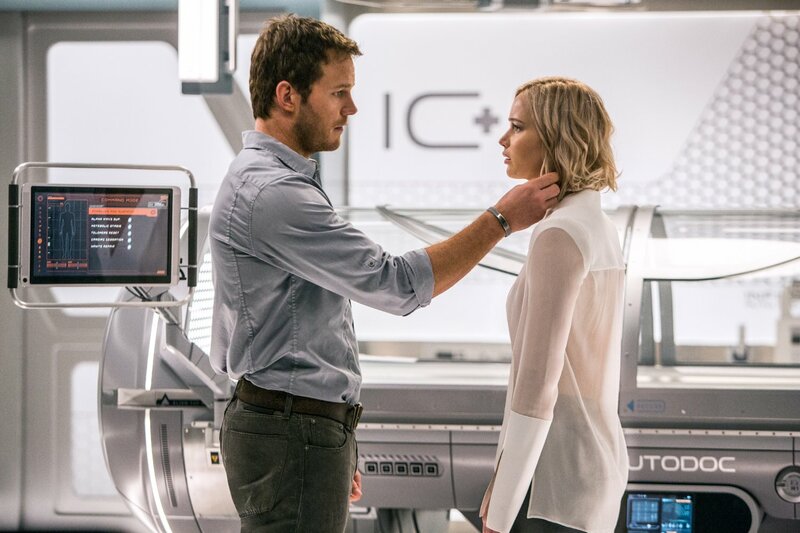 As a result two hibernation pods open prematurely and the two people that awoke, Jim Preston (Chris Pratt) and Aurora Dunn (Jennifer Lawrence), are stranded on the spaceship, still 90 years from their destination. KIDS FIRST! Film Critic Gerry O. comments, “What happens when you blend fantastic acting, beautiful visual effects, intense story and a surprising ending? You get a unique and exciting film called Passengers.” Arjun N. adds, “The acting and stellar special effects impressed me. However, there are many logic errors and things, which don’t make sense. It is still very watchable.” See their full reviews below. What happens when you blend fantastic acting, beautiful visual effects, intense story and a surprising ending? 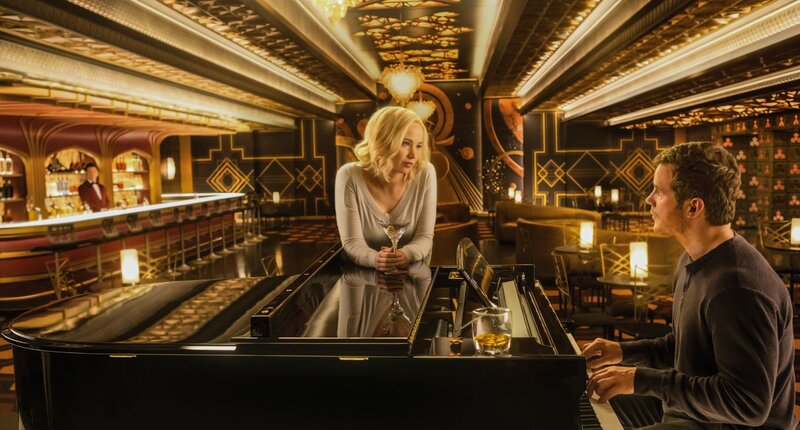 You get a unique and exciting film called Passengers. Surprisingly, the main genre is not action or adventure, but a romance. With that, of course, comes drama as well. Passengers begins when a deep space colony ship called Starship Avalon encounters some technical issues. It has only been 30 years into its 120 year voyage and one passenger, a mechanic named Jim Preston (Chris Pratt), awakens from his hibernation pod. After a year of loneliness, he is joined by another person, who also wakes up named Aurora (Jennifer Lawrence). The two live on the ship completely alone and soon realize that the starship they call home needs some fixing. If they don’t do something, they and the 5,000 others aboard may die. The concept of a romantic sci-fi is very unexpected and unique. Most viewers will be surprised because it is advertised as an action-packed adventure. It does contain some action elements, but most of the film is very romantic and dives deep into humans’ nature under unique circumstances. The romance itself is smooth and realistic. Chris Pratt and Jennifer Lawrence are enjoyable as separate characters and together they are simply perfect. They talk to each other very lightly and make the story entertaining despite that we only watch the two of them for most of the film. That is another fantastic aspect of Passengers. Everything is simple from the sets to the characters and even the story. That doesn’t make it a boring film. With dramatic acting and beautiful visual effects, it is very much an entertaining story, which is hard to achieve with so few elements. There is a small issue in one specific scene which slightly ruins the entire story. The scene contains a medical bed that gives you several options, including stem cell regeneration. Although this seems normal in a sci-fi film, the main problem is that it ruins the entire story. Brain stem cells allow you to live much longer than normal, which kills the whole “90 years till everyone else wakes up, and we’ll be dead” element. This is the main problem with the characters. Another big thing about the stem cell aspect, is that they never have a role in the story. It is just an option for a robotic medical bed in the background, but because the option exists, it makes a huge part of the plot questionable. My favorite scene is when both Aurora and Jim are awake and already getting close. One day, the ship’s A.I. tells all passengers to go to the observatory as it passes very close to a star. They run to the observatory to see the flames of a red giant, with the ship almost touching the surface. I loved this because it is a stunning visual scene mixed with intense music and spectacular acting which makes your adrenaline pump. There are several mature moments, which make this unsuitable for younger children. I recommend it for ages 9 to 18 and give it 4 out of 5 stars because, despite it being a fantastic sci-fi romance, with beautiful special effects and fantastic acting, the fact that one scene jeopardizes the main conflict of the story is a big downside. It is still an enjoyable film which I would recommend for all to see and opens in theaters on December 21, 2016 so, go check it out. Passengers is a decent movie filled with romance and sci-fi vibes. The acting and stellar special effects impressed me. However, there are many logic errors and things, which don’t make sense. It is still very watchable. The story is about two passengers, Jim Preston (Chris Pratt) and Aurora Lane (Jennifer Lawrence), who are stranded on a spaceship, Starship Avalon, which is on a course to the Homestead Colony. This journey Is supposed take 120 years. Unfortunately, Jim and Aurora wake up from their hibernation pods thirty years into the journey. With 90 years left in the journey, the two try to go back to hibernation, but it doesn’t succeed. During the trip, the two fall in love and try to enjoy their time spent on the Avalon, but aboard the ship a series of malfunctions occur. Jim and Aurora must figure out how to save the ship and the lives of the others in the hibernation pods. Chris Pratt delivers an excellent multi-faceted performance and steals the show as Jim, presenting both comedy and romance. There are also scenes where Jim emotes his sadness, frustration and loneliness before he meets Aurora. Jennifer Lawrence’s performance as Aurora, a writer who wants to capture new adventures, has good chemistry with Chris Pratt’s character. Michael Sheen as Arthur, an android bartender, delivers good comic relief and is an interesting character. Morten Tyldum’s direction keeps the movie flowing at a fast pace especially in scenes when the ship is in danger. 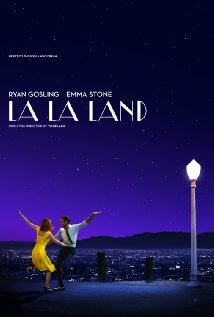 The special effects are great, especially the space effects and the swimming pool scenes when there is a loss of gravity. My favorite scene is the scene where Jim and Aurora first explore space. Their acting is marvelous. The idea of vending machines that can make all sorts of coffee is a cool one. This movie does have numerous logic issues and the lack of realism makes some scenes really weird. There is a scene where Jim is faced against a big ball of fire. The only protection he has is a small shield. Also, the issues that happen, supposedly caused from something that happened two years back, are not believable because issues come immediately after such a big problem rather than in slow, short installments. The movie has a great message. Jim and Aurora heroically save the spaceship and more than 5000 passengers in hibernation in spite of the fact they know that they won’t be alive when they reach Homestead Colony. I give this movie 3 out of 5 stars and recommend it for ages 13 to 18 years old. I don’t recommend this movie for younger kids because it has few romantic scenes, which are not appropriate for them. This film opens in theaters on December 21st, so go check it out. 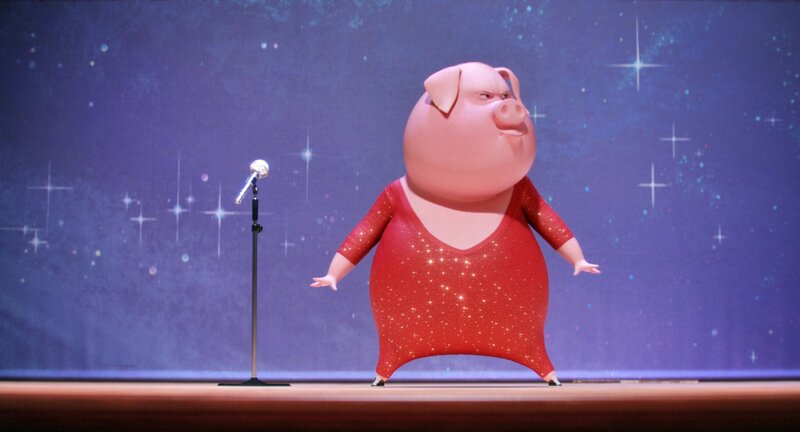 Sing – A Wonderful New Animated Film That is a Feast for Both Eyes and Ears! Set in a world like ours but entirely inhabited by animals, Buster Moon, a dapper koala who presides over a once-grand theater that has fallen on hard times. Buster is an eternal, some might even say delusional-optimist who loves his theater above all and will do anything to preserve it. Now faced with the crumbling of his life’s ambition, he has one final chance to restore his fading jewel to its former glory by producing the world’s greatest singing competition. KIDS FIRST! Film Critic Clayton P. comments, “Sing is a terrific new animated film that is a feast for both eyes and ears! From the creators of Despicable Me, Minions and The Secret Life of Pets, Sing is an instant classic.” Mia A. adds, “Illumination Entertainment has done it again! The creators of Despicable Me, Pets and Minions have brought us more talking animals to love – and, this time they sing!” See their full reviews below. Sing is a terrific new animated film that is a feast for both eyes and ears! From the creators of Despicable Me, Minions and The Secret Life of Pets, Sing is an instant classic. It stars Matthew McConaughey, Reese Witherspoon, Seth MacFarlane, Scarlet Johansson, John C. Reilly, Taron Egerton and Tori Kelly. It is directed and written by Garth Jennings and co-directed by Christophe Lordelet. The film concerns a theatrical impresario and koala bear, Buster Moon whose classic theater is not thriving. However, he has a big idea to bring back the audience. He decides to stage a singing contest! The only trouble is the flyer that is produced to advertise the contest is misprinted. Instead of “winner gets $1000”, the flyer says “$100,000.” Of course, Moon doesn’t have the money, but the show must go on! He holds an audition and decides on the finalists who will compete for the prize. 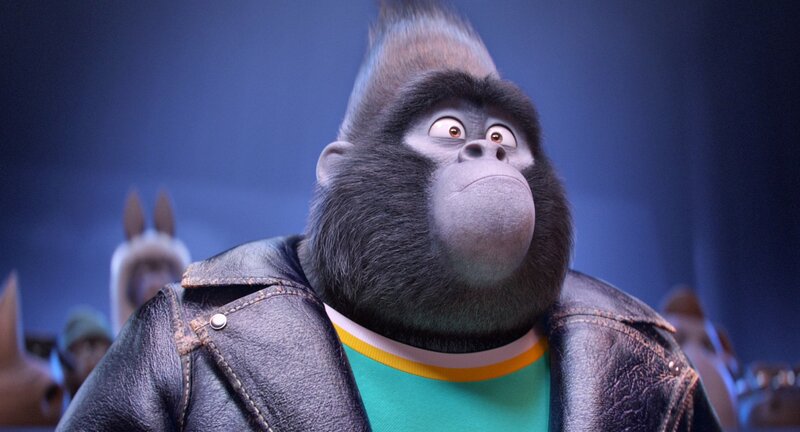 They include Johnny, a gorilla crooner with a Cockney accent (Taron Egerton); Meena, an elephant with stage fright but a beautiful, resonant voice (Tori Kelly); Ash, a punk rockette (Scarlet Johansson); Mike, a boastful mouse who sings jazz standards (Seth MacFarlane); and Gunter and Rosita a couple of pigs who sing and dance (Nick Kroll, Reese Witherspoon). Moon also has an elderly iguana assistant, named Ms. Crawley (Garth Jennings). There are many subplots including the fact that Mike’s dad is a Cockney mobster who expects Mike to be the getaway driver. Each contestant is well fleshed out with a backstory that makes us care about each one. My favorite part is when Gunter is about to go on stage for dress rehearsal. In his German accent he says, “This place is about to explode with some major piggy power.” Another great scene is when Rosita leaves her 25 piglets at home. She is unable to get a babysitter, so she makes robotic contraptions out of everyday materials and puts them all over the house. It wakes the piglets up, feeds them, gets them dressed and out the door with their backpacks and one contraption even says goodbye to the husband and all 25 kids as they exit the house. It reminded me of the toy train scene in Wallace and Gromit’s The Wrong Trousers. This scene is visually very creative. One of the best things about Sing is the many different styles of music. 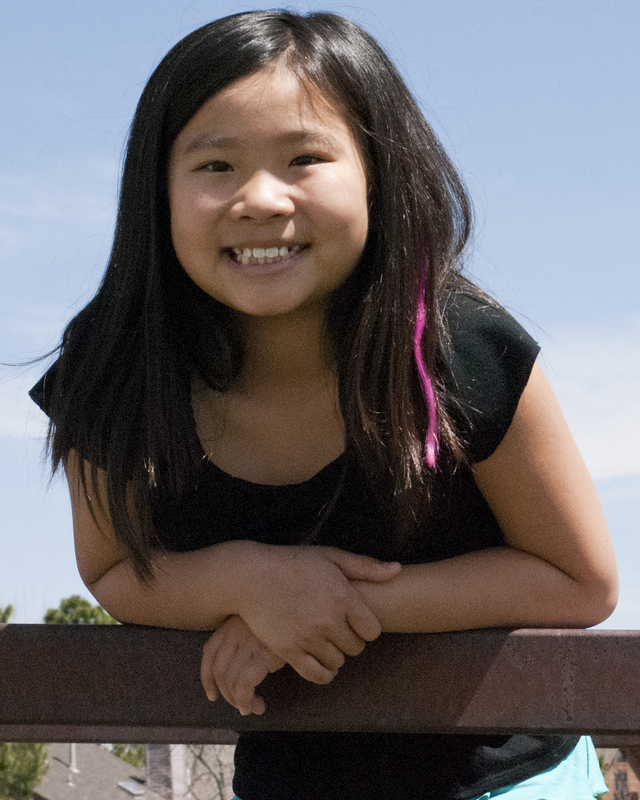 It’s great for kids as they can learn about different music genres. The film is bookended by The Beatles’ song Golden Slumbers. It also includes some Motown songs, including Stevie Wonder’s Don’t You Worry ‘Bout a Thing, jazz standards like My Way and recent pop songs like Call me, Maybe. Overall, the soundtrack is really terrific. 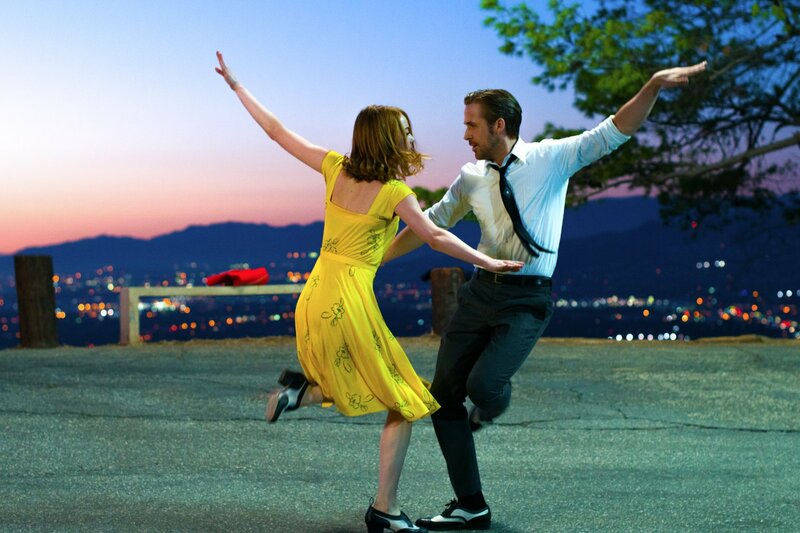 According to some accounts, there are over 80 songs in the film. Sing is perfect for the whole family. Everyone will enjoy it. I rate this film 4.5 out of 5 stars and recommend it for kids ages 5 to 18 as well as adults. Illumination Entertainment has done it again! The creators of Despicable Me, Pets and Minions have brought us more talking animals to love – and, this time they sing! 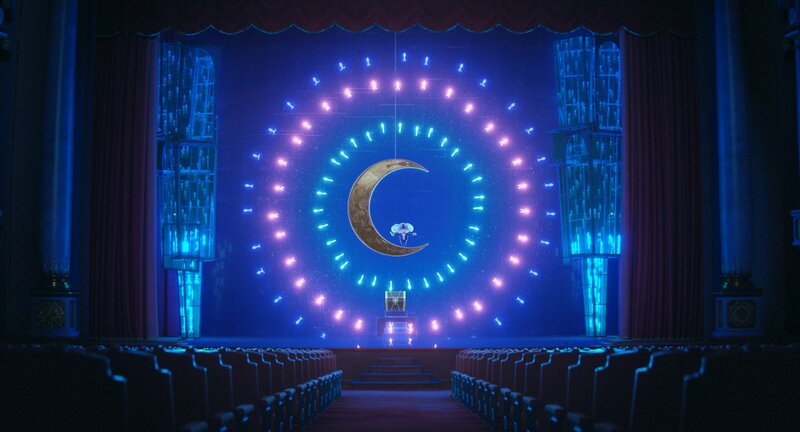 Sing is about a Koala named Buster Moon who loves the theater so much that he buys a theater and follows his dreams. His theater is going through some hard times, so he holds a singing competition. Ash, Buster Moon, Rosita, Mike, Meena, Johnny and Gunter are some of the competitors, and they all have important stories to tell. Each character has its own small subplot, so you get some good background information on each one. Voiced by big names including Matthew McConaughey, Scarlett Johansson, Reese Witherspoon and Seth MacFarlane, we get to know and love each character. Ash is a rock singer who lives with a stuck up boyfriend. Rosita is a pig that has many kids and a husband, but she doesn’t feel appreciated by any of them. Mike is a little street mouse or rat with attitude that gets him in some interesting situations. Meena is an elephant that is super shy and Johnny is an ape that is stuck in a family job of robbery. My favorite character is Johnny because he believes in what he loves and never stops trying to pursue his dreams. He almost runs two lives, doing what he wants to do while also participating in the family business of robbery. My favorite scene is the car wash scene. Buster Moon has to wash cars to make some money, so his friend Eddie helps him. Buster Moon washes as Eddie dries. This scene is very funny because they use their bodies to wash and dry. 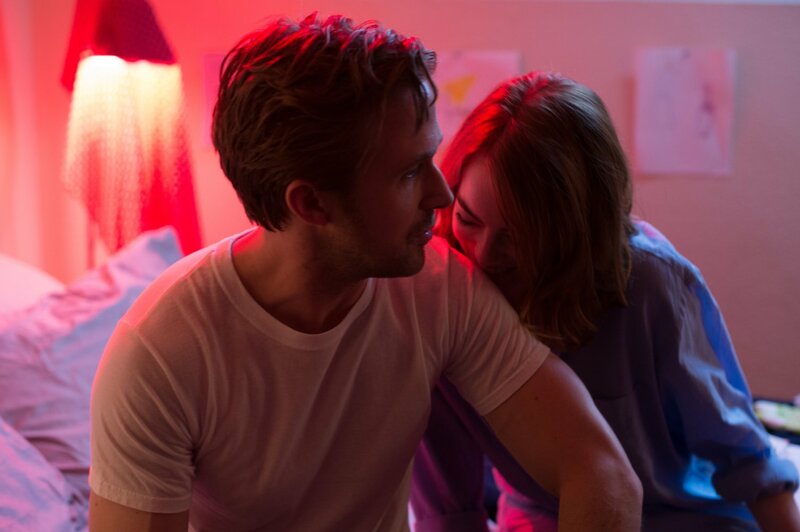 The moral to this film is to never give up on your dreams. We see how all the characters have an event in their lives that holds them back from what they really want to do and what their true talents are. This movie is called Sing, so I expected some major singing. I like that there are popular songs incorporated into the movie. All the characters have amazing voices and some are very comical. The singing really made me want to get up and start singing. The animation is super colorful, creative and detailed. You can see small details on the animals like the fur on the apes and the quills on the porcupines. I love how the animal characteristics and human characteristics are combined and balanced out perfectly to make a human animal. The animals may walk and talk like humans, but they also have some animal traits. The porcupine’s quills fly out and the apes run on their feet and hands. I recommend Sing to ages 6 to 18 because this is a great family movie for all ages. I give this movie 4.5 out of 5 stars. If you are looking for good clean family fun, go enjoy Sing in theaters near you! Posted in Feature Film Reviews | Comments Off on Sing – A Wonderful New Animated Film That is a Feast for Both Eyes and Ears! In a small town going through tough economic times, business owner Matthew Peyton (Ryan O’Quinn) struggles between his desire for financial success and the responsibility of funding the annual Christmas pageant. Desperate business decisions ruin his popularity and angry employees seek their revenge. When Matthew meets Clarence (Isaac Ryan Brown), a joyful boy who believes in miracles, he must make a choice: do what’s best for himself or give faith a chance by opening his heart to help his community. KIDS FIRST! Film Critic Gerry O. comments, “There are many holiday films that attempt to show you a story of faith, or hope or maybe just positivity. Believe tries to tackle all those things in a fantastic and entertaining holiday adventure.” Watch his full review below and be sure to watch his cast & crew interviews as well. There are many holiday films that attempt to show you a story of faith, or hope or maybe just positivity. Believe tries to tackle all those things in a fantastic and entertaining holiday adventure. Believe begins showing Matthew Peyton (Ryan O’Quinn), a business owner in a small town, going through financial trouble. Despite owning a business, he also has had the responsibility of hosting the famous local Christmas Pageant every year. Sadly, this year, his company has not been doing well and is losing money. When he tries to plead to the townspeople he cannot do it, he is accused of being greedy. The entire town hates him and it is up to him to save his business and attempt to save the spirit of Christmas in a poverty-stricken town. Believe perfectly achieves its message – never lose hope and always believe in a better tomorrow. The story clearly represents that. The cinematography is unique and beautiful in many scenes, from slow motion of falling snowflakes, to unique close ups and first person prospective. The actors, for the most part, play their emotions well and make the story feel dramatic. One character falls a bit short. Clarence (Isaac Ryan Brown) often feels out of place in some scenes, almost as if included for comedic effect or to help solidify the message. This is not because of bad acting. Isaac Ryan Brown plays Clarence as an excited and positive kid perfectly. The major problem is the interactions and his role in the story. Throughout the whole story, it feels like Clarence and Matthew have separate adventures and goals of being hopeful and faithful. This does not integrate well and makes for awkward scenes. Another major issue is that the film is too long at 2 hours. It would benefit from some judicious editing as there are many scenes that had no purpose and add to the length, making the story feel stretched. My favorite scene is when Matthew gets mugged and his car is set on fire. The cinematography of this scene is great with close ups of Matthew as his car is on fire and snowflakes slowly falling in the background. The entire time, the camera is shaking and distorted as if the viewer is experiencing some sort of head injury along with Matthew. I loved this because it gives you both a third person view of Matthew and a first person feeling of what he is experiencing. There are very few with some mild violence and some dramatic scenes so I recommend it for ages 9 to 18. I also give it 3.5 out of 5 stars because, despite it having an issue with one character and the story, it has a strong moral, beautiful cinematography and fantastic acting. It is theaters now so, go check it out. You are currently browsing the KIDS FIRST! News weblog archives for December, 2016.